Girl power, the two perfect words to describe the vibrant, entertaining, and relatable Video Slot from Play´n GO. It is a master piece sending us all back to our youth, with the brilliant cartoons shown on tv in the 90´s. This one is a Japanese anime television series written by Naoko Takeuchi. The series was dubbed and later aired all over the world, including the US, Australia, Europe, and Latin America. The story follows the adventurous and brave girl named Usagi Tsukino, a woman who is given the power to become the titular Sailor Soldier. She is joined by other sailor Soldiers, Sailor Venus, Sailor Mars, Sailor Jupiter, and much more. You get to follow these girls in their quest to defend the planet against evil villains. This became a success worldwide, and many grew up following this power-girl-group of saviours. In 2014, Sailor Moon Crystal began streaming worldwide again – as a second animated adaption. It is a brilliant series, with brilliant girls, and Play´n GO has made sure to adopt this series into a flawlessly themed Video Slot for us to enjoy. We very proudly present; Moon Princess from Play´n GO! 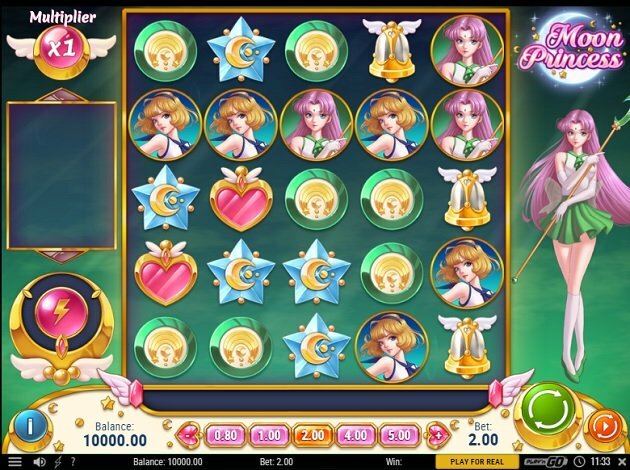 On the reels of Moon Princess Video Slot, you will find lower valued symbols of the four gadgets, the star and the moon, the moon, the pink heart, and the golden bell with wings. These are all encrusted in gold, representing a girl each. The higher valued symbols are then the full moon and the three sailors inspired ladies – Love, Star, and Storm – which are the main characters of the game. All clearly looking almost identical to the Sailors. 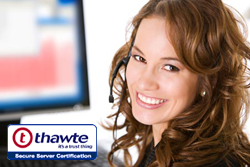 Apart from the basic symbol values of the game, you also have the opportunity to win a bit more – this with the help of the three powerful girls. With their girl power, they can shed some extra features over you, with their symbols granting Free Spins and much more. We will tell you all about it right below. Love: she can make one set of symbols transform into another symbol. Star: she can make up to 2 Wilds appear on the reels. Storm: she can make two sets of any symbols are destroyed. Only one princess can be active at the same time, and the game will continue as usual after she has worked her magic. Princess Trinity: to the left side of the reels, there is a golden meter – and you can fully charge this during the gameplay. When you have to manage to do this, you trigger the Princess Trinity Free Round. The meter consists of only 3 sections, making it fairly easy to fill, and this happens as you land winning with the help of the princesses symbols. After this, the girls simply take turns in performing their girl powers. Free Spins: to trigger the Free Spins you have to clear the grid of the game, as soon as you have done this, they are triggered. You then choose one of the three princesses with their special girl power active. While in the feature you can enjoy Multipliers of up to 20x and you can re-trigger the spins up to 20 by filling the meter up again. The reel layout of the game is somewhat unique compared to many other games out there. The reel set is based on a grid of 5x5 positions. Meaning that a total of 25 symbols will be dropped onto the reels of every new spin. The wins are paid when 3 or more symbols matches in a row, horizontally, or vertically. For every symbol drop, a win multiplier is added. It is very clear that this is a game inspired by the immensely popular, Sailor Moon and its characters. Moon Princess Video Slot introduces you to the three girls right away – one of them hovering in the air next to the reels. It is night time, with a full moon shedding light, and the girls are out and about – looking for a new place to safe from evil. The game has a fairly simple backdrop of a night sky, and everything with this game is in the details. The reel is framed with gold, just like all symbols, the Bonus meter, and the paytable that is made very flair at the bottom of the screen. It is very well executed, and easy to enjoy. Both graphics and designs are very well-made, with vivid colours, great details, 3D animations, and a lot of attributes that you simply must see for yourself.